Loosen up flour and measure out into bowl. Add salt and shortening to flour and crumble with fingertips until meal-like. Mix together egg, water and vinegar. Dribble over flour mixture. Mix with fork until all holds together. Mold into two rounds. Roll each out to size of pie pan on floured board. Place one round in bottom of pie pan. Place a layer of apples on bottom crust. Combine sugar, cinnamon and flour. Sprinkle half over layer of apples. Add a second layer of apples and sprinkle the rest of the sugar mixture over the top. Sprinkle brown sugar over top layer of apples. 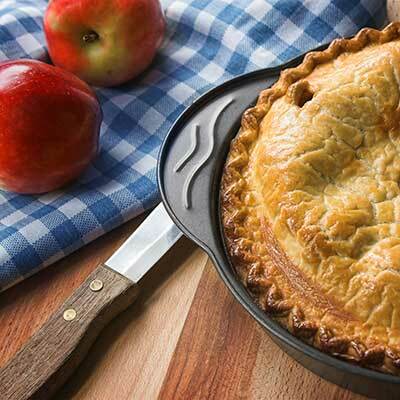 Place top crust over apples and secure sides of top and bottom crust. Brush top crust with milk. Sprinkle with sugar. Make knife slits down center of pie. Cover edges of crust with tin foil, removing last 15 minutes. Bake at 450 degrees for 15 minutes, and at 350 degrees for 45 minutes or until apples are tender when pierced with a knife. Golden Delicious or Newtown Pippins can be used as well. Kayce Pavlovich is from Watsonville.